Baguio City National High School (BCNHS) and Camp 7 Elementary School toppled their fiercest competitors to win the highest ranks as champions of the recently concluded 2015 MILO Little Olympics in North Luzon. Over 5,000 promising athletes from 180 schools across north and central Luzon vied for the top honors in 15 sporting events including Athletics, Badminton, Basketball, Football, Gymnastics, Lawn Tennis, Swimming, Table Tennis, Taekwondo, Volleyball, Chess, Sepak Takraw, Scrabble and the two new demo sports in the roster, Karatedo and Arnis. In the secondary division, nine-time regional champion BCNHS showed muscle in Athletics, Badminton, Girls’ Chess and Football, which boosted them in earning a score of 171 points. The most stunning performance however, came from an unlikely contender. Last year’s 11th placer, Olongapo City National High School, blindsided their opponents with a surprise second-place finish. Largely due to their exceptional performance in Lawn Tennis and Boys’ Chess, Olongapo City National High School bagged a total of 76.5 points. Meanwhile, Holy Angel University managed to hold their grip for the third spot with 65 points. High School teams from other participating schools also put up a good fight: Angeles University Foundation (60 points), Urdaneta City National High School (54.5 points), UB High School (52 points), Holy Family Academy (50 points), Mariveles National High School (44 points), while Alaminos City National High School and Zambales National High School both earned the ninth spot with 43 points. Camp 7 Elementary School dethroned former champion Baguio Central School in the elementary division. Excelling in Girls’ Athletics, Camp 7 trumped its closest rivals and posted an overall score of 52 points. 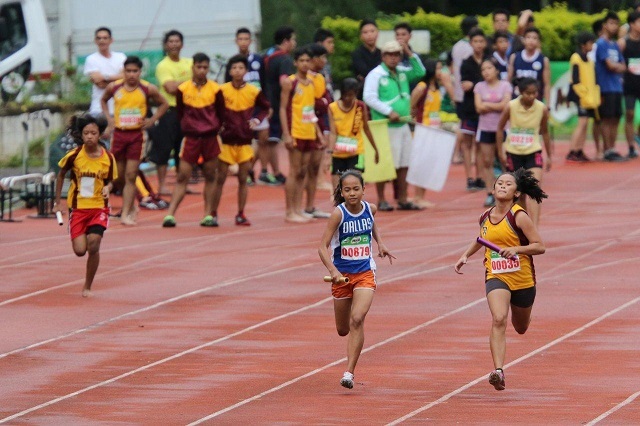 Mabini Elementary School saw action in Boys’ Athletics which put them to second place with 50.67 points followed by Elpidio Quirino Elementary School in third place with 43 points. Rounding up the top 10 cast are Bonifacio Elementary School (40 points), Special Education Center for the Gifted School (40 points), Don Bosco Technical Institute (37 points), Saint Paul College of Ilocos Sur (36.67 points), UB Lab (35 points), Ucab Elementary School (35 points), and Urdaneta Central School (33 points). The 2015 MILO Little Olympics eliminations leg will head over to its last regional leg in Visayas on September 10-13 in Iloilo. All winners from the elimination legs will represent their region in the 2015 MILO Little Olympics National Finals in Santa Cruz, Laguna on October 23-25, 2015.